« Hydro Farm allotments, Tower, Blarney, Co Cork. Three questions for all vegetable growers. With the vegetable growing season almost upon us, I decided in this post to provide you with the three most important questions all prospective growers should ask themselves before starting vegetable growing. Sunlight, photo / pic / image. Ideally you should try to locate your vegetable garden in the sunniest area of your site. Almost every vegetable we grow here in Ireland reacts well to a sunnier location. Good light from the sun on your vegetables leaves will help them grow abundantly, while their roots will benefit greatly from the suns warming effect on the soil. 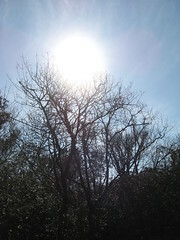 So, have you access to sun, a position preferably south-facing that receives at least 6 hours of sunlight a day? If you have found this location, then congratulations, you will not alone be able to grow leafy vegetables, but you will also able to cultivate fruiting vegetables that require lots of sun such as aubergines and cucumbers. If you only have three hours of direct sunlight a day available to you, don’t fret, you must instead sow veg which copes with less sunny situations such as leafy specimens of lettuce and spinach. 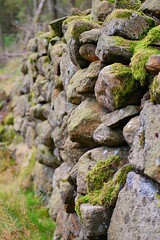 Drystone wall reduces wind, photo / pic / image. Wind is terribly destructive to certain vegetables; battering elevated veg like runner beans, as well as causing early drop on pumpkins/marrows and dreadful stem damage on potatoes. Are there existing trees and hedgerows around your site which can afford these poor craiturs some protection? If so, plant in their shelter, however be careful how close to these natural screens that your veg is located as roots from living screens can also compete for valuable moisture and nutrients. No natural shelter, don’t worry; you can always employ some artificial shelter options. A slatted wooden fence or a run of plastic windbreak netting material (wind reduction 50%) installed at 1.5mtr (5ft) high will filter breezes in much the same way as the leaves of hedging and trees do so. Other windbreak materials to consider include woven willow/hazel fencing, doubled-up trellis fencing, and drystone walls. Good soil depth, photo / pic / image. (3) Most importantly, have you soil? Along with sunlight, soil is one of the main factors influencing the growth rate, and eventual size of your vegetables, with six inches being the minimum depth required, and twelve inches preferable. The best all-rounder for growing most vegetables is loamy soil, well supplied with organic material (compost/rotted manure). Loam soil, is an open soil that is neither too sandy nor too sticky (claylike), ideal because it anchors the vegetables well whilst allowing free passage of air and water. So, you have found your sunny and sheltered location, but is your soil up to the job of supporting and feeding your vegetables? A simple test to see if your soil is loamy, claylike, or sandy, is to carry out a squeeze test. Firstly, roll up a handful of moist soil into about the size of a golf ball, and then squeeze the ball in your hand. If the ball breaks with slightest pressure then your soil could be overly sandy (not good), or if it instead holds together under pressure, bending to the form of your hand, then the soil has a more than its fair share of clay (again not good). A reaction somewhere in between these two would lead me to believe your soil is loamy, good for you. But just to confirm, you can lightly squeeze some of your soil between thumb and finger, loam soil will feel powdery, sandy soil more like grit, and clay will feel slippery. If you have excessively clay or sandy soil, fear not, you can amend it. With heavy clay soils you can greatly improve the movement of water, air and nutrients within them by digging in a 3 to 4 inch layer of gritty sand as deep as you can. The addition of chunky well-rotted compost/farmyard manure will also open clay soil up further and help prevent that dreadful cracked earth effect that clays display during dry periods. When amending sandy soils, your goal is to increase the soil’s ability to hold water and nutrients. 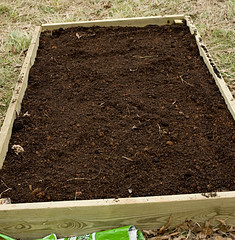 For this you can once again add a 3 to 4 inch layer of well-rotted compost/farmyard manure by spading or forking it in as deep as you can. Although light sandy soil is the ideal soil type for carrots and onions, a loamy soil well supplied with organic material happens to be the best all-rounder for growing most vegetables. Few soils will not benefit from the addition of well-rotted compost/farmyard manure. Ask around and you will find that most seasoned vegetable gardeners will dig some into their veg beds for all the reasons mentioned above, as well as to replace the great quantities of nutrients used up by those hungry feeding vegetables. This entry was posted on Sunday, February 22nd, 2009 at 1:40 pm	and is filed under Uncategorized, Vegetable garden tips and advice.. You can follow any responses to this entry through the RSS 2.0 feed. You can leave a response, or trackback from your own site.